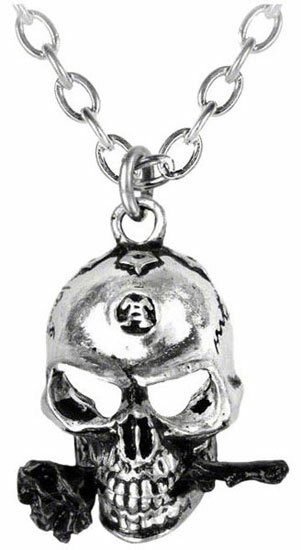 An Alchemy skull hanging from a chain with the A symbol pressed into the forehead. Between the teeth there is a single black rose representing the philosophy of the Alchemist trade. It is made of fine English pewter with blacked rose and measures approximately 0.87 inches wide, 1.1 inches high and 0.47 inches deep. The chain measures 21 inches long. 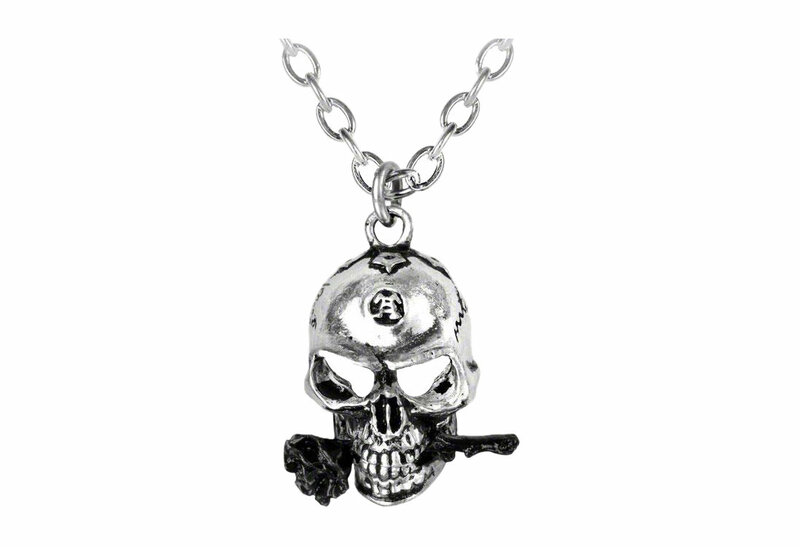 This item is Designed by Gothic Alchemy and imported from the UK.